CLAIMS Leanne Donaldson gave false testimony during a Senate committee hearing about the controversial Cashless Debit Card have been denied by the Bundaberg MP. 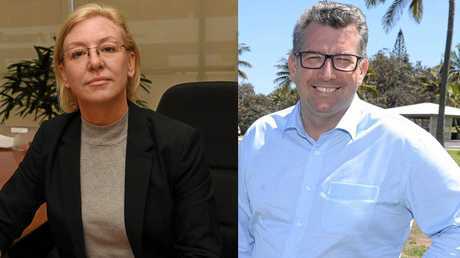 The accusations from Federal Human Services Minister Alan Tudge come during the middle of a tight election campaign where Ms Donaldson is fighting off LNP and One Nation to retain her seat. 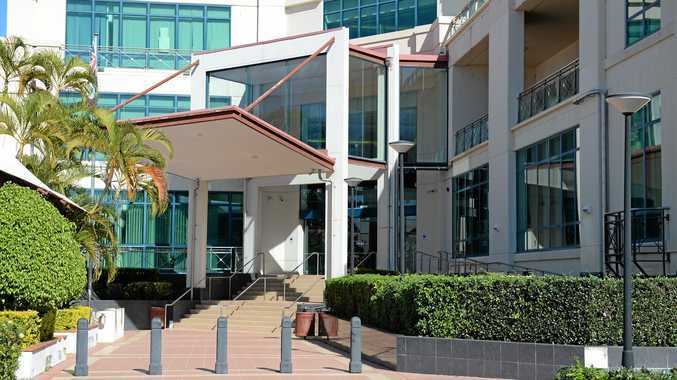 Mr Tudge said Ms Leanne Donaldson gave testimony to the Senate that she had received no approach from either himself or the Member for Hinkler in relation to the Cashless Debit Card being rolled out to the Bundaberg and Hervey Bay region, which he said was untrue. During the hearing, held earlier this month, Ms Donaldson told the committee: "As a community leader, I've had no approach from either the minister or the federal member to include me in any consultation. 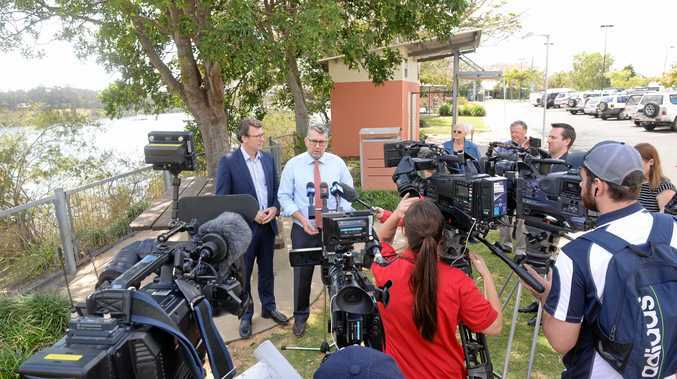 "In fact, Minister Tudge came to town and did a media interview across the road from my office and then had a meeting a block away on the other side. "The afternoon before, he sent an email inviting me to meet with him in Melbourne, knowing full well he was going to be in Bundaberg. So I feel that I've been actively excluded." But Human Services Minister Alan Tudge said Ms Donaldson misled the committee and argued his office made repeated phone calls and sent emails between August 1 and October 23 to negotiate a time for a meeting. YOUR CALL: Bundaberg MP Leanne Donaldson. "My office contacted Ms Donaldson's office to organise a time to meet," Mr Tudge said. "Dates in September were offered but declined by Ms Donaldson's office." Ms Donaldson hit back at the claims saying she was truthful in her testimony. "Anyone can check that Minister Tudge was in Bundaberg and did not bother to tell me he was in town," Ms Donaldson said. "Instead, the day before, he sent me an email inviting me to meet with him in Melbourne knowing full well he was going to be in Bundaberg the next day." Ms Donaldson said she had been trying to meet with Mr Tudge since June 15 when she sent him a letter requesting a meeting to discuss the card. An email trail shows Mr Tudge's office did email Ms Donaldson on September 20 to schedule an in-person meeting for October 4, at his Melbourne office, which the Bundaberg MP accepted. On September 21, Mr Tudge was in Bundaberg to announce the rollout of the card and according to Ms Donaldson did not offer to meet her while visiting the city. On September 29, an email from Mr Tudge's office requested the October 4 meeting now be held in Canberra. That offer was declined by Ms Donaldson who, from the email correspondence, appeared disappointed the minister had been in Bundaberg only a week before and not found time to meet with her. On October 16, a teleconference was organised for 9.30am on October 23. Mr Tudge said he called Ms Donaldson at the agreed time but she was unavailable. But Ms Donaldson said that's not what happened. "On October 23, I was in my office in Parliament with the Member for Maryborough waiting for Minister Tudge to ring at the agreed time," she said. "Instead someone from his office rang my Bundaberg office to say Minister Tudge was called away and could not ring. "My Bundaberg office staff were told we could speak with his advisor however we confirmed that we had a meeting with the minister and expected to speak with the minister. "That was the last I heard from that office."